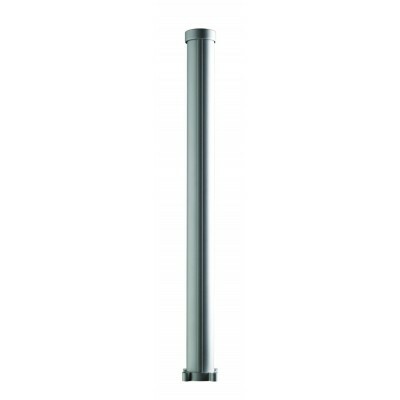 Fusion Contemporary and Commercial outdoor aluminium balcony newel post. Comes with a threaded bar, top cap, base plate fixing, top hat, infill strip and bottom cowling. Overall size: 1000mm x 80mm diameter (including bolt projection). Supplied with Richard Burbidge fitting instructions. For use only with raised level decks.